The results of a recent study conducted in Sweden, leaving things clear: neither modern technology can produce a magic pill to prevent heart attack. To avoid this, we must commit to healthy habits to help with heart health, such as how to stop smoking, maintain a healthy weight, exercising and eating a balanced diet. The researchers say that, following these guidelines may be avoidable to 4-5 strokes. A recent study published in the September issue of the Journal of the American College of Cardiology invites to change five lifestyle to prevent heart attack. According to the researchers, if these guidelines are followed. They could be avoided four out of five heart attacks in men. What are these habits? Eating a balanced diet, exercising, quitting smoking, maintaining a healthy weight and drinking in moderation. Let’s see how they arrived at these conclusions. A group of researchers led by Agneta Akesson, an associate professor at the Institute of Environmental Medicine at the Karolinska Institute in Solna, Sweden, examined medical records. And a survey of more than 20,700 Swedish men between 45 and 79 years old in 1997. At that time, none of the participants had a history of cancer, heart disease, diabetes, hypertension or high cholesterol. The researchers monitored through 2009 to determine how they were in terms of health and in particular whether they had suffered a heart attack. Eight percent of men (1,724) did not practice any of the five aforementioned healthy habits, and 166 members of the group suffered a heart attack. 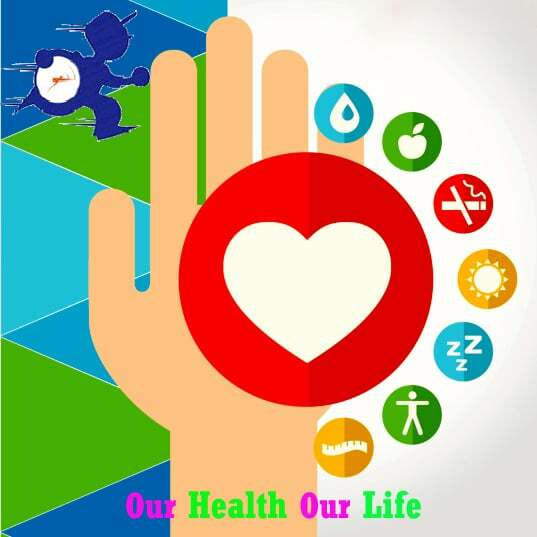 Of all participants, only one percent (212) followed five healthy life patterns and 3 of them suffered a heart attack. Based on these results, the researchers concluded that men middle-aged and older who take the combination of these five healthy habits can prevent a first heart attack by 79 percent. Furthermore, they found that each healthy habit reduced the risk of heart attack alone. For example, those who followed a diet rich in fruits, vegetables, nuts, low-fat dairy products and whole grains, reduced the risk of a first heart attack by 20 percent. And compared with the group that did not follow any of the healthy habits. In the study they participated only men, but Professor Akesson is the co-author of a previous study that concluded that a healthy lifestyle has a similar effect in women. Want to reduce your risk of having a heart attack? So, no matter your gender. Worth you put into practice the following healthy habits to protect the health of your heart and all your family members. Because a healthy lifestyle can prevent up to 80 percent of heart attack. Stop smoking and avoid secondhand smoke. If until now you had not found a good reason to kick the habit as harmful and you have! The snuff is one of the major risk factors for heart disease. If you stop smoking (and your husband or you encourage your children to do so), also avoid the risk of developing lung cancer and chronic obstructive pulmonary disease (COPD). And deliver those who live around you second-hand smoke (which is also harmful). And in a few years the risk of developing heart disease is reduced to the same level as that of nonsmokers. Get moving. A sedentary lifestyle is detrimental to the whole body, especially the heart. So, if you like sports, do not wait to practice. Or begins to incorporate some physical activity into your daily life. A walk of 20 minutes a day is an excellent start that gives you the same benefits as 75 minutes a week of more vigorous exercise (swimming, jogging or cycling). It’s up to you. In addition to a happy heart, you will reduce stress, sleep better and improve your life expectancy. Improve your diet. If you are in charge of grocery shopping and food preparation, get your authority in the kitchen to change your life and the family for the better. Of course. Avoid consumption of processed, fried and high-sugar foods. Instead, put emphasis on lean meats, fruits and vegetables, whole grains and low-fat dairy products. When these foods are the basis of the menus in your home, all aid in weight management, blood pressure, level of blood sugar and cholesterol. The American Heart Association (AHA) offers the following recommendations for a heart healthy diet to eat at least 4-5 cups of fruits and vegetables a day, fish at least two times a week, fiber-rich whole grains (such as oatmeal or rice for example) daily. Salt? Reduce it to a minimum (less than 1,500 mg per day or the equivalent of half a teaspoon). Control your weight. Being overweight makes your heart more unemployed, so you should make an effort to eliminate kilos or pounds your spare. If you modify your diet and do more exercise, the overweight will progressively disappear. It considers that too much fat, especially if it accumulates in the abdomen, increases your risk of high blood pressure, high cholesterol and diabetes which are risk factors for heart disease. Give your heart a break by reducing excess weight you can, do not waver! Drink alcohol in moderation. This is equivalent to two drinks a day if you’re a man of 65 years or less and one drink per day if you are female or you’re a man of 66 years and older.When we talk about a drink, we talk about quantity: 12 ounces or 35 milliliters of beer; 5 ounces or 148 milliliters of wine and 1.5 ounces or 44 milliliters of distilled beverage. If you follow this rule you reduce the risk of cardiovascular diseases to give you a heart attack or stroke (CVA) or stroke. Controls the level of cholesterol. Despite its bad reputation, we need cholesterol to maintain our health (helps protect nerves, manufacturing cells and produce hormones), but we must find a balance between so-called bad cholesterol (low density lipoprotein or LDL) that in excessive amounts bars (top) the arteries and damages the heart and good cholesterol (high density lipoprotein or HDL) bad cholesterol that cleans arteries and protect your cardiovascular health. To achieve this balance, exercise, limiting saturated fats from your diet, reduce the consumption of red meat, high fat dairy products and all fats trans. A blood test will tell your doctor how your cholesterol: Ideally your total levels and the different fractions. Watch your blood pressure. Many people suffer from high blood pressure without knowing it because often no symptoms until it are too late. Do not expect to find out the hard way. A healthy blood pressure should be below 130/90 mm ​​Hg. Controls glucose (sugar) in the blood. Diabetes, so you esmerarte to avoid developing type 2 diabetes, and if you already have it, to keep your blood glucose under control. Again, diet and exercise are vital in this task. Do not forget to combat stress. Meet the responsibilities is one thing and forget one is another. Spend some time of the day to disconnect from everything and dedicate it to something you’re passionate about and you relax. A hobby, yoga, or play an instrument is examples of effective ways to counter the negative effect of stress in your life and your health. My advice to grow old: change the bad habits you’ve been following and adopt new, healthier that allow you to protect your heart and overall health. Besides reducing the risk of heart attack, also you avoid being overweight, inactivity and its consequences, such as hypertension or diabetes. Your health is in your hands. Act today! Excellent information! The percentages are disappointing. I like to think that everyone gets at least a little exercises and tries to practice healthy eating habits. The good news is it’s never too late to start! Thanks a lot. I will agree with you.